Speaking before a gathering of senior officials from Britain, China, Germany, Russia and Iran, the EU's Federica Mogherini made the case for Iran remaining in the deal that US President Donald Trump abandoned on May 8. Iran has ample reason to stay in the 2015 nuclear deal despite the U.S. withdrawal and the remaining parties on Monday will discuss ways to blunt the effect of impending U.S. sanctions on Tehran, the European Union's foreign policy chief said. "An essential part of the agreement and its implementation regards Iran having the possibility of benefiting from the lifting of sanctions, and this is exactly why we are discussing tonight, operational concrete steps that we can put in place," Mogherini told reporters before the talks at the United Nations. "Iran has good arguments and good reasons to remain in the agreement. ... the more operational decisions we will manage to take and ... implement, I believe the more Iran will have reasons to do," she added. The European Union, however, has so far failed to devise a workable legal framework to shield its companies from US sanctions that go into effect in November and that, among other things, seek to choke off Iran's oil sales, diplomats said. 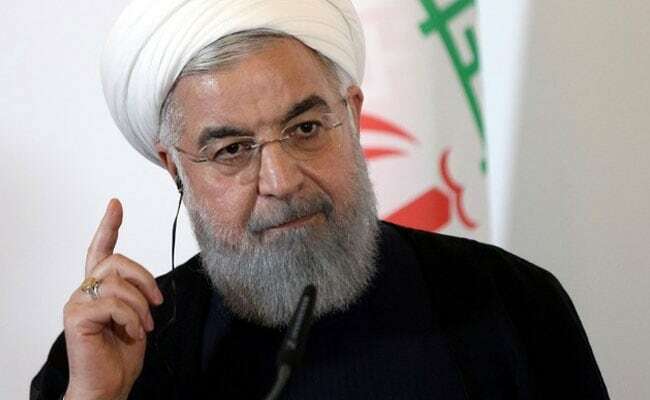 The crux of the deal, negotiated over almost two years by the administration of former U.S. President Barack Obama, was that Iran would restrain its nuclear program in return for the relaxation of sanctions that had crippled its economy. The United States began reimposing economic sanctions this summer and the most draconian measures, which seek to force Iran's major customers to stop buying its oil, resume Nov. 5. Their impending return has contributed to a slide in Iran's currency. The rial has lost about two-thirds of its value this year, hitting a record low against the U.S. dollar this month.